Two years after Wisconsin Governor Scott Walker signed a controversial Iron Mining Law designed to speed up permitting for a giant open pit iron mine in the Penokee Hills above Lake Superior, Gogebic Taconite (GTac), president Bill Williams pulled the plug on the mine because the project was not feasible. He cited the unexpected extensive wetlands at the mine site and the uncertainty about whether the U.S. Environmental Protection Agency (EPA) would veto the company’s mine plan, as the EPA had recommended in the case of the Pebble gold and copper mine in Alaska. The EPA said that mine would do irreversible damage to one of the world’s last intact salmon ecosystems of Bristol Bay, Alaska. However, a federal judge has temporarily halted any EPA action pending further legal argument (see “Militarized Mining in Wisconsin,” Z Magazine, October 2013). 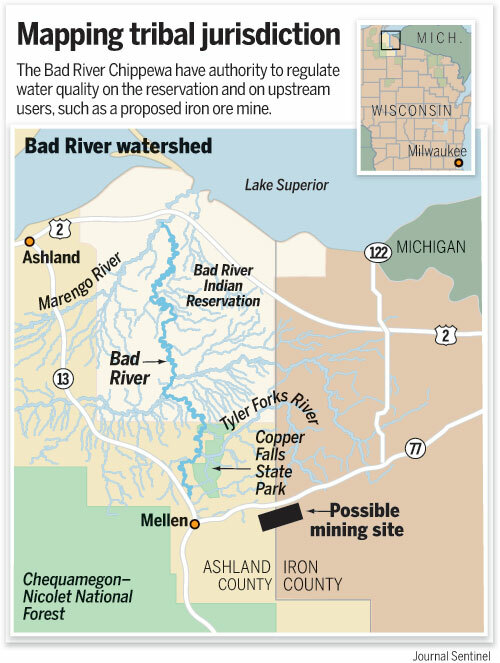 Six Wisconsin Ojibwe tribes, led by the Bad River band, asked the EPA to conduct a similar independent review of the environmental effects of GTac’s proposed mine on federally-protected treaty rights and resources before the plan is reviewed by state regulators and the U.S. Army Corps of Engineers. But the EPA expressly stated that it would not be taking action on the GTac project as it had done in the case of the Pebble mine (“EPA disputes Gogebic fears about mine,” Milwaukee Journal Sentinel 3/7/2015). The environmental devastation from past and ongoing gold mining operations in El Salvador, Guatemala and Honduras has provoked a formidable Salvadoran social movement that has been educating and organizing communities for a total ban against metallic mining in El Salvador. In response, companies like Canada’s Pacific Rim and Milwaukee, Wisconsin-based Commerce Group have filed multi-million dollar lawsuits against the Salvadoran government trying to force the country into submission—and to get out of paying for environmental damage they have already caused. Don’t believe Bill Williams or Sen. Tom Tiffany. It wasn’t the EPA but the company’s lack of homework that killed this project. Sen. Tom Tiffany asserts that mining can be done in an environmentally-safe manner and blames the U.S. Environmental Protection Agency for Gogebic Taconite, or GTac, pulling the plug on its proposed iron mine upstream from Lake Superior. This interpretation is misleading on several counts. Tiffany asserts that “iron mining is a more benign process than sulfide mining” ignoring the fact that every operating taconite (low-grade iron ore) mine and mill in Minnesota and Michigan are recent chronic polluters, according to a 2012 study by the Sierra Club. Tribal members of the Ho-Chunk nation are calling for native and non-native people to band together to stop frac sand mining. About 30 people gathered in Black River falls to hear speakers talking about how frac sand mining can lead to environmental damage and possible health problems. Armed guards protecting extractive resource operations is not an uncommon sight in Central and South American countries where there is growing community resistance to ecologically destructive mining and oil projects. 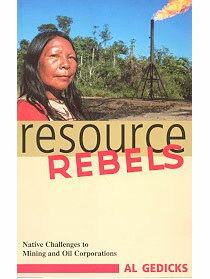 As early as 2008 the United Nations documented “an emerging trend in Latin America but also in other regions of the world indicates situations of private security companies protecting transnational extractive corporations whose employees are often involved in suppressing legitimate social protest of communities and human rights and environmental organizations where these corporations operate.” (Human Rights Council, Report of the Working Group on the use of mercenaries as a means of violating human rights and impeding the exercise of the right of people to self-determination). More than 100 people spoke out at the August 15, 2013 public hearing in Hurley, Wisconsin on Gogebic Taconite’s (GTac’s) proposed bulk sampling activity in the Penokee Hills. The overwhelming majority of the testimony was against the project, citing concerns about treaty rights, pollution of critical watersheds and GTac’s coverup of the health hazards from asbestiform minerals in the rock to be blasted. On June 11th, Gogebic Taconite (GTac) started exploratory drilling at the first of eight sites in the Penokee Hills despite objections from the Bad River Tribe and local citizens that the impact of drilling was not fully considered before the Wisconsin Department of Natural Resources issued a drilling license.